If you down into the woods this weekend, spare a thought for how they are managed and might be improved. 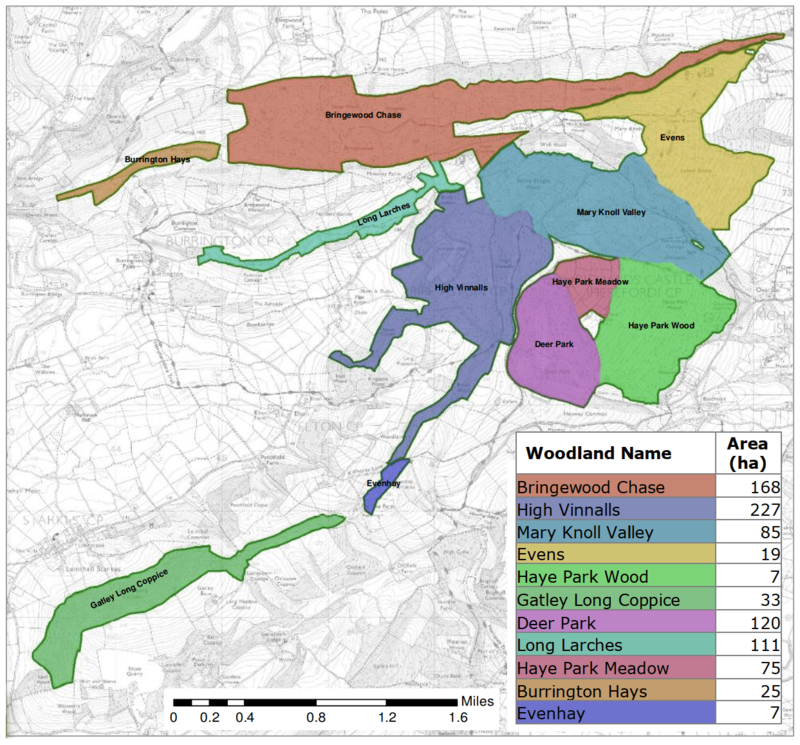 The Forestry Commission has published a fifty-year plan for the Mortimer Forest and wants to hear views by 1 February. The plan’s vision is for the 1,029-hectare forest to be become a haven for people, nature and the economy. Broadleaf cover will be increased to over one-fifth of the forest over the next ten years and to much larger areas over the subsequent decades. Views including from Ludlow will be improved. There is no mention of building accommodation in the forest. Over decades, much of the conifer plantation will be replaced with native woodland. Areas will be restored to oak dominated forest cover. The existing areas of meadow and neutral grassland will be maintained and rides and roadsides will be wider to support common and protected butterflies and other rotational scrub loving species. Economically, the forest will remain productive through thinning and clearfell timber, mostly conifers. Currently, 183ha of the forest is broadleaf (18%), the rest conifers. Over the next ten years, 49ha (hectares) of conifers will be felled and replaced by 10ha of conifers and 39ha of broadleaf, increasing broadleaf cover to 22%. Broadleaf will often be increased by natural native regeneration after felling. Replanting may also be used. An aim is to increase broadleaf species to 80% in the forest that was formerly ancient woodland, around half the forest area. Around a tenth of the forest will be transitory or permanently open. There is no mention of accommodation in the Mortimer Forest, which hopefully will rule out a return of a Forest Holidays style cabin scheme. I am not a forestry expert but this looks a well-balanced plan that will improve both the look of the forest and its ecology, while encouraging visitors to enjoy the landscape. The plan will improve views, including from Ludlow. However, there is no mention of schools and the forest being an education resource. The consultation runs until 1 February. The price of no hot tubs is eternal vigilance. I attended the meeting on site on Jan 16th. It was very clear that the Forestry Commission (represented by local/area staff and the Regional strategy officer) are not entirely masters of their own fate. There is a tension between the time span of tree cropping (and the planning thereof) and the time span of political imperatives of government departments/agencies. I should also say that the FC people on the ground seemed entirely straightforward and honest in the way they dealt with questions; many of the issues that concern Ludlow are above their pay grade. The plan is very much about tree management, the ‘philosophy’ of how the site should be used is not strictly part of the consultation. The challenge remains for Ludlow and the FC to find ways of adding more value than a few jobs and forestry crops in a way consistent with the undisputed diversity and amenity value of the woodland. Having used the forest for walking, bicycling and watching tractor rallies etc for 55 years this makes me very happy to know.. It is an amazing facility and it would be outstanding as a legacy for our future generations in a time of massive building and loss of rural land with public access.